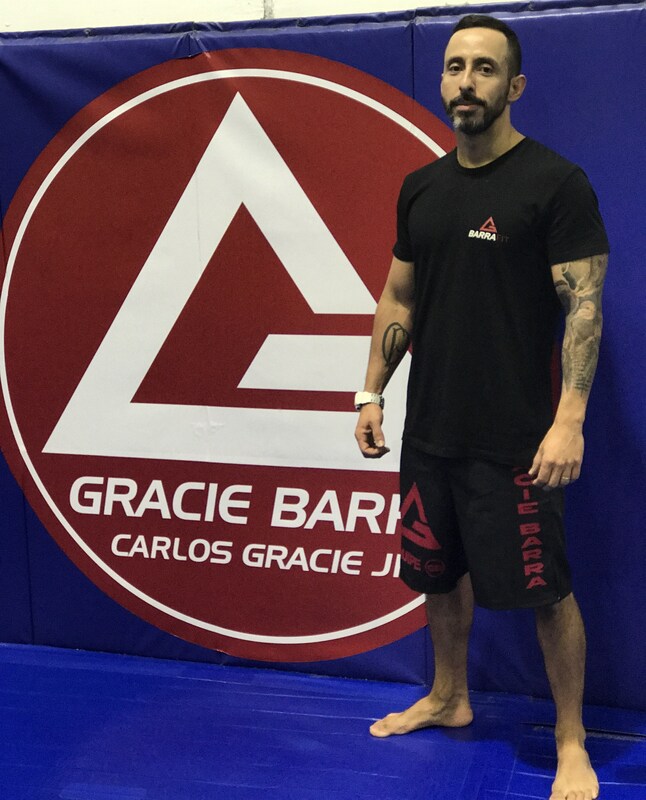 Marcelo grew up in Rio de Janeiro and started training Brazilian Jiu Jitsu in 1991 at the original Gracie Barra Gym with Master Carlos Gracie Junior. Carlos is the son of Carlos Gracie Sr, the original founder of the fighting style now known worldwide as Gracie “Brazilian” Jiu Jitsu. Marcelo began his path to the black belt among the best, studying at the multi world champion Gracie Barra Gym; home to Brazil’s greatest BJJ fighters. Click here to read a 2014 Interview from Professor Marcelo about his path to making Jiu Jitsu his career. After completing his University degree in Business Administration in Brazil, Marcelo went on a three-month trip to Australia in 2001 to improve his fluency in English. During his stay, he met experts in other martial arts and was invited to teach in the Blue Mountains which sparked his idea to devote his life to spreading Jiu Jitsu throughout Australia. With the support of Master Carlos Gracie Jr. he opened the first Gracie Barra school in Australia. 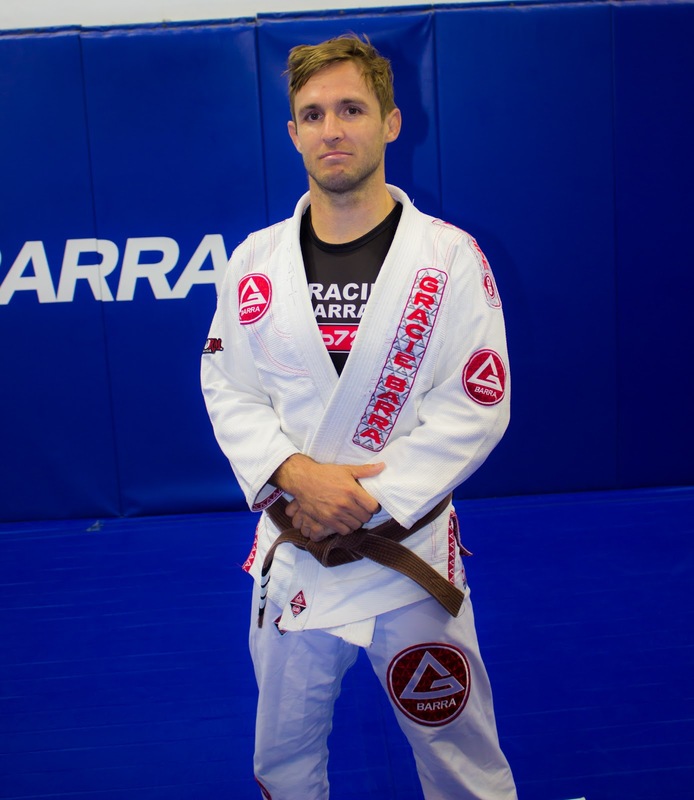 His original school has grown to become Gracie Barra Sydney located in Brookvale, NSW which is the headquarters for the Gracie Barra in the Oceania region. Marcelo is recognized as one of the best grappling coaches in the Oceania and Asia/Pacific region and he has taught Jiu Jitsu techniques to top rugby teams like the Sydney Roosters and ACT Brumbies as well as Wallabies players. In 2007 he established a local partnership with one of the leading teams in the NRL, the Manly Sea Eagles. Specifically Marcelo and his Gracie Barra team train the Manly Sea Eagles on improving mental and physical conditioning and teach them to adapt Jiu Jitsu techniques to the game of rugby. Since 2007 the Manly Sea Eagles have secured two Premierships (2008 & 2011), one Runners-up (2013) and one World Club Challenge (2009). Marcelo has a personal interest in MMA and helped developed the first MMA curriculum for Fitness approved by Fitness Australia. This curriculum was developed for the company ‘MMA Fitness’ for which he is also a co-Founder and Director. Marcelo has coached many champions in Jiu Jitsu, Submission Wrestling and Mixed Martial Arts at International standard. He trained Mark Hunt who is recognised as one of the most successful MMA fighters in the Oceania region and was also a K1 Kickboxing Grand Prix Champion. Marcelo coached Mark when he fought for the World Title in Pride which was the largest MMA organisation at the time, now Mark continues to have a successful career as a prominent fighter in the UFC. Marcelo has trained other UFC fighters as well, including James Te Huna and Brad Morris. He has made it his life’s work to improve people’s lives through Jiu Jitsu. Marcelo estimates Gracie Barra has roughly 2000 students in Australia. He is Gracie Barra’s Regional Director for the Oceania region, laying the foundation for Gracie Barra instructors to teach Jiu Jitsu across Australia and New Zealand. His passion for entrepreneurialism led him to develop the first Overseas Visa Training Course for Jiu Jitsu in Australia. This was a student visa program that gave overseas students an opportunity to learn Jiu Jitsu while living in Australia. Marcelo is proud to have fought in the first black belt match held in Australia as well as the first in New Zealand as these events represented the beginning of high level Jiu Jitsu competitions in the Oceania region. To this day, Marcelo enjoys pushing his training regime to prepare for high level competitions. In 2014 he placed third in the Masters division at the World Masters Brazilian Jiu Jitsu Championship (IBJJF) held in California. His competition history also includes: Pan American Champion (IBJJF) and International Master & Seniors Champion (IBJJF). In 2002 Marcelo became one of the founding members and directors of the NSW Brazilian Jiu Jitsu Federation, today he is also the Australian liaison for the Abu Dhabi World Pro Jiu Jitsu Championships, facilitating their competitions in the region. He also took part in organising the first Sydney Open in 2015, which was the first IBJJF competition in Sydney, Australia. Many people do not know that Marcelo developed the first application for mobile devices for Brazilian Jiu Jitsu (in the Gi) called BJJ Master released in 2008. It is no longer available for download, but look out for new projects ahead! Those that know Marcelo agree that he continuously dedicates his life to the Jiu Jitsu for Everyone Project, and lives a Jiu Jitsu lifestyle. Through his passion, professionalism and dedication to Jiu Jitsu he hopes to have Gracie Barra schools in every community in the Oceania Region helping improve people’s lives. He is very proud to lead a strong team of Professors and Coaches in the Oceania region who all play a large part in spreading the benefits of Jiu Jitsu to our communities. Over my years of training Jiu-Jitsu at Gracie Barra Sydney, the one thing I can say is that training has always developed new challenges and where there is something new to learn and keep me excited. When I started, the idea of being able to roll and learn all the cool techniques was a big drawcard. As I kept training, the learning got deeper, not just the technique, but also within myself. Seeing positive lifestyle and character changes not just within myself but among others is keeping me so motivated to improve, not just as a student but as a coach. Depending on the day but I like quotes that remind me to be calm under pressure such as "Be so calm that nothing can disturb the peace of your mind." Other than Jiu-Jitsu, I enjoy getting out amongst nature, Mountain Biking, and also photography. I always enjoyed physical activities of various kinds throughout my life. I started training under Professor Marcelo in 2009, when I moved down to the Northern Beaches. Since I was a blue belt, I had known I wanted to be involved in the Jiu-Jitsu scene full time, and carried out the first coaches course with 13 other students. I knew that it wouldn't instantly get me a coaching position, but would arm me with a different insight to Jiu-Jitsu. I studied my Cert IV in fitness while working full time to help move my career towards being involved in training, and before I could put it to use, I was granted the wonderful opportunity to begin coaching full time at GB Sydney! At first I was just a hobby that I practised a few times a week, but now it's all I think about. It gives me a purpose in life. I want to be the best I can possibly be, while improving other people's lives too. Jiu-Jitsu constantly gives me a drive I can continue to work on! "I hated every minute of training, but I said, don't quit. Suffer now and live the rest of our life as a champion." Brazilian Jiu-Jitsu, going to the gym, watching sports, spending time with family and friends and eating açai. I had a early connection to martial arts back in Brazil when I was young. I practiced judo and really enjoyed it. Once we moved to Australia, we never found a judo school nearby so I played every other sport from rugby to swimming. Until one day, my Mum found a GB school, so we went there and the moment I got thrown to the mats, I knew I had found my home. I knew I had found my family!